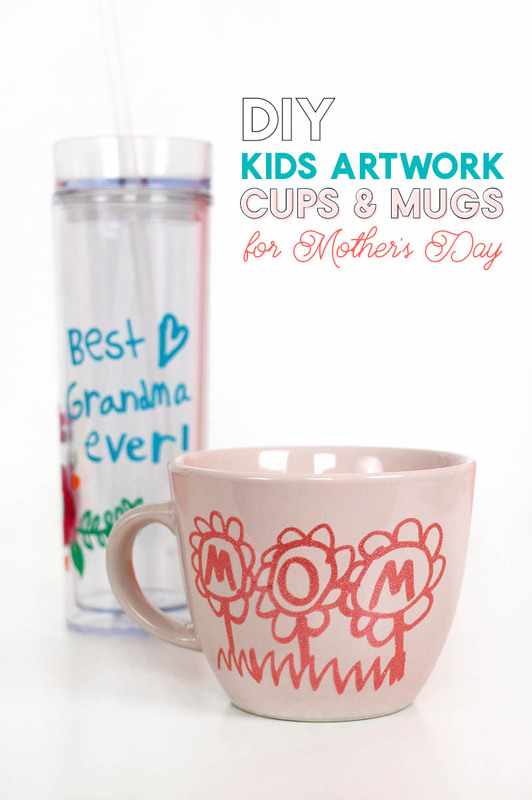 Make your own adorably personalized Mother’s Day mugs and cups using your child’s artwork or handwriting. 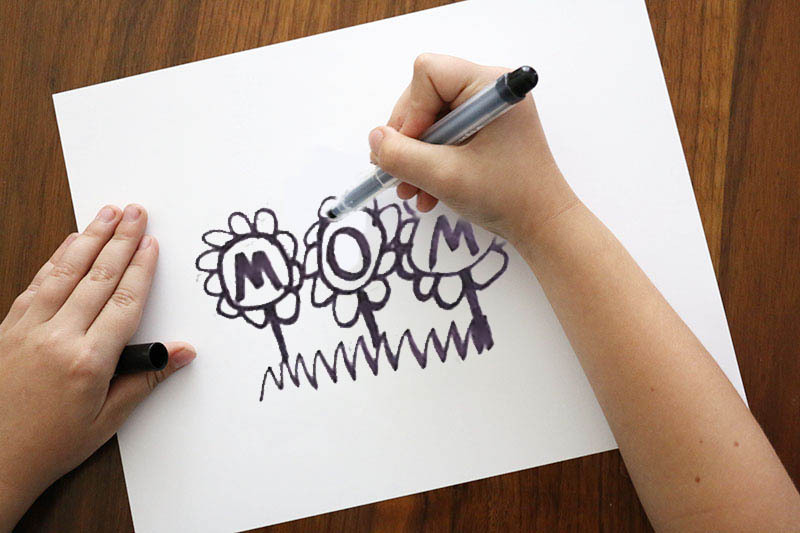 The Silhouette makes it easy to turn their creations into a sweet gift for Mom or Grandma this year. This post may contain affiliate links, which help to support this site at no extra cost to you. 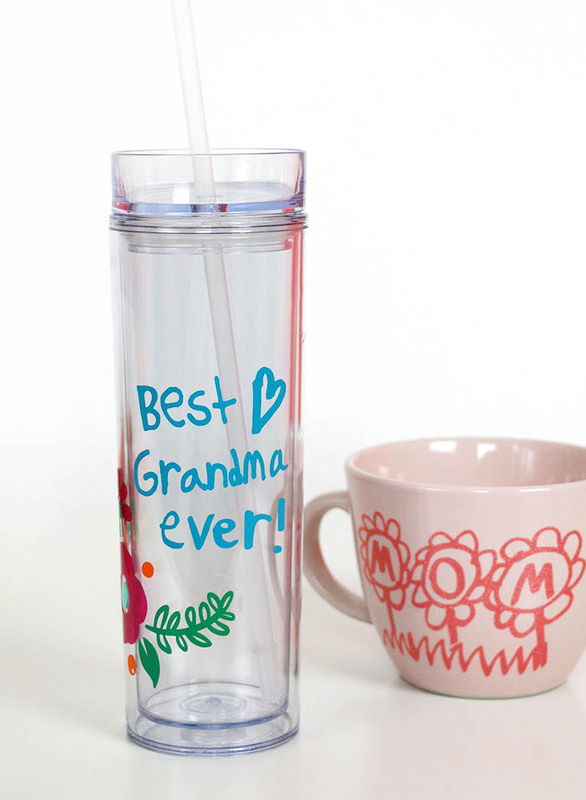 Mother’s Day is just around the corner, and if you are looking for a simple yet meaningful gift idea for Mom or Grandma this year, then I have a fun idea for you today! This project is basically the Mother’s Day version of the Father’s Day mugs and glasses I shared last year. 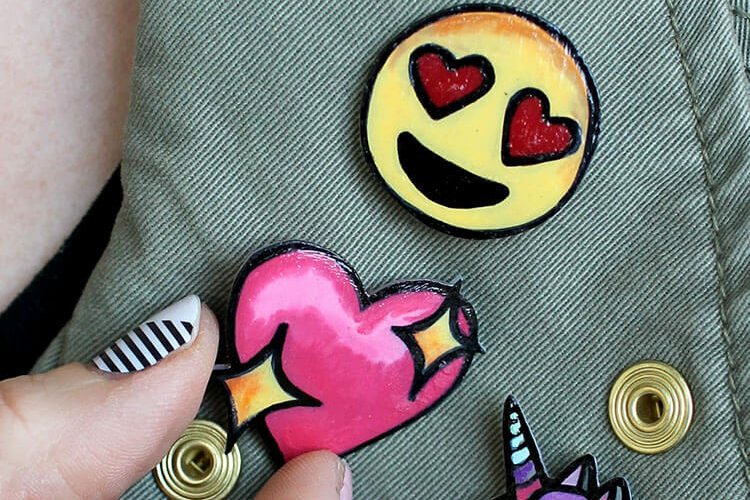 If you have a Silhouette or Cricut it is really easy to turn your child’s drawings into custom, permanent vinyl decals that make really amazing gifts. 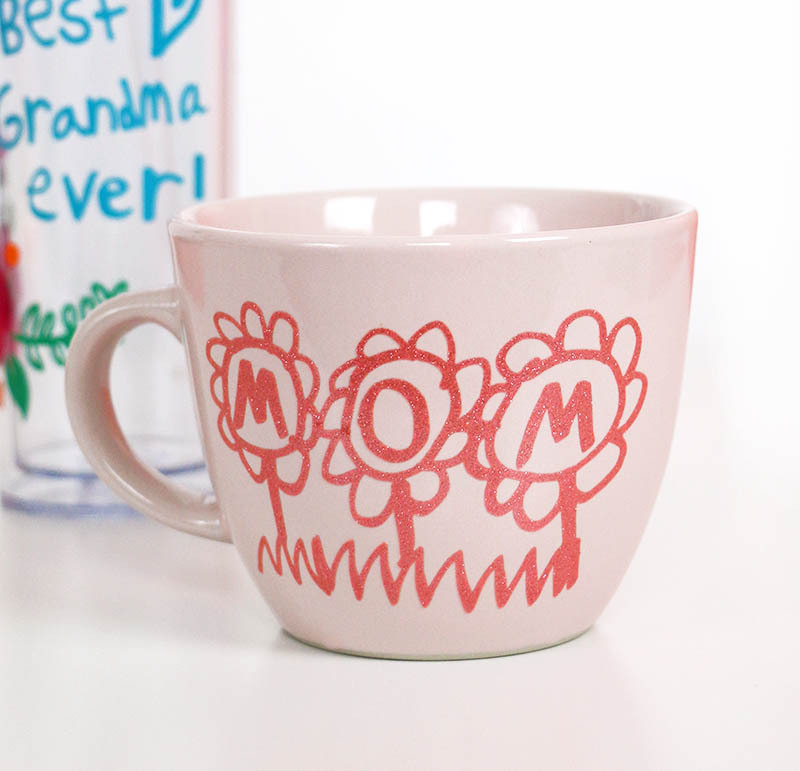 To make your own awesome Mother’s Day mugs, you need to start by having the kid(s) write or draw a special note or picture for your Mom or Grandma. Having them use a thick, dark marker on white paper, and try to keep things fairly simple. Next, you will need to take a photo of the drawing or scan it and then upload it into your cutting machine software. I have a full written and video tutorial right HERE on how to use your own images and drawings in Silhouette Studio and I have a link in that post to a Cricut tutorial as well. Learn tips for applying vinyl to mugs and other curved surfaces.